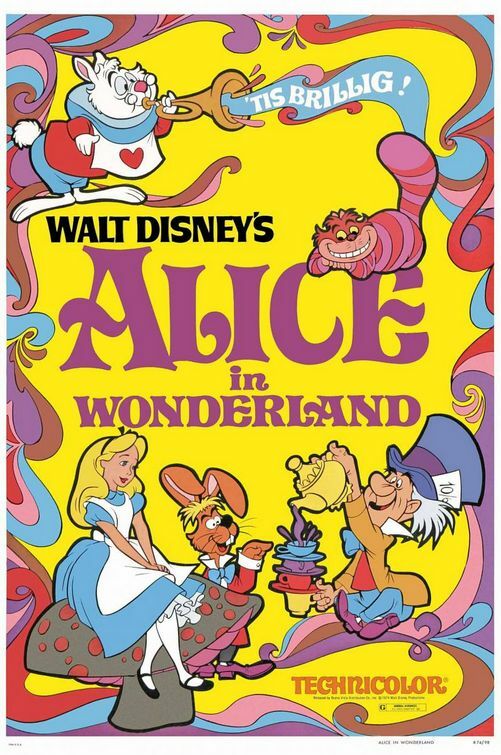 Always a sucker for a fairy tale, I have loved Alice in Wonderland for as long as I can remember. Growing up with the original Disney movie version of the story I was a little curious about what they would do for the updated Tim Burton take. Finally yesterday I had the chance to go and find out! 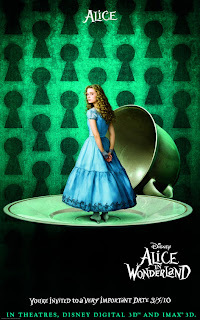 The new Alice in Wonderland is not a remake of the original story. 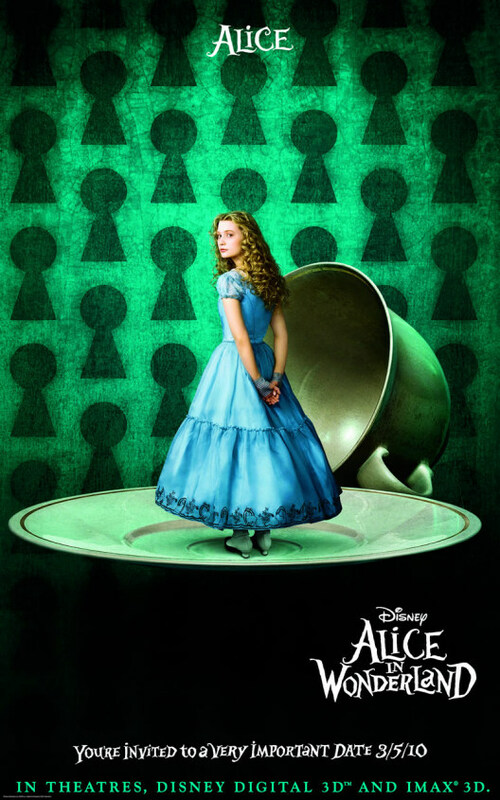 It is more of an addition to the story and shows Alice years later as she goes back to Wonderland. It is truly a beautiful movie. 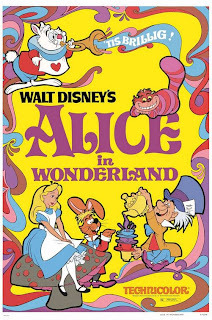 The costumes, the sets, the makeup...the colors are so vivid that you almost feel like a tiny Alice in a gigantic candy store. If you have not yet seen it I highly recommend you do! 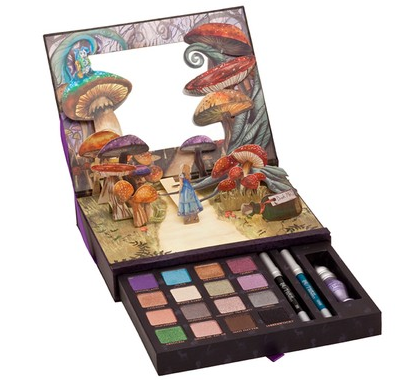 With all of the color and whimsy wrapped up in Alice in Wonderland it is no wonder that the story inspires everything from kitchenware to jewelry and all points in between. 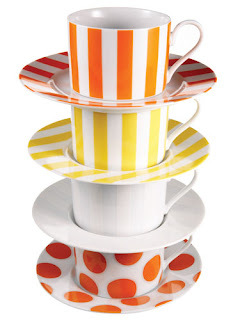 Give your kitchen a colorful twist with this tea party inspired china. If you have the money the Disney parks can give you pretty much anything you want for a party. 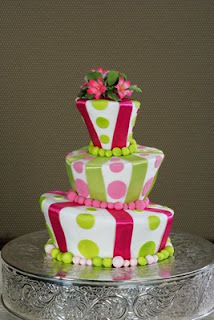 This Mad Hatter inspired cake is available through their wedding department. If you have never checked out their site you must! Such beautiful ideas! Urban Decay did a take on Alice in Wonderland with their makeup collection. It is sold out online, but still available on Ebay. If this is a must have item for you first check your local Sephora's and such just to make sure they don't have it before paying inflated Ebay prices. 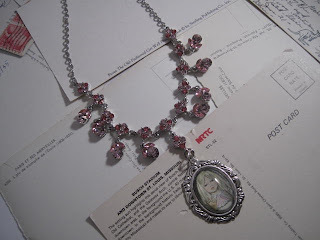 The Alice is Pretty In Pink Crystal Necklace is available on Etsy. 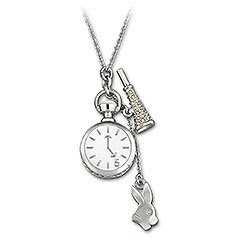 Swarovski has designed the Tea Party White Rabbit featuring a pocket watch, trumpet and of course the rabbit. 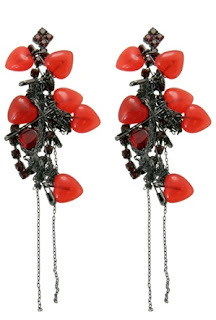 Tom Binn's Queen of Hearts Drop Earrings are certainly Disney jewelry for the modern girl. The safety pins, hearts and multiple chains create a look far removed from Alice and her poufy blue dress. My personal favorite thing to come from Alice in Wonderland...The Mad Hatter's Tea Cups at the Disney parks! Since we are all friends here I will share these ridiculous pictures with you all of Gabriel and I enjoying time at Disneyland. I really liked the movie - and I am not a Tim Burton's fan! I even thought it wouldn't be worse in 2D. And I absolutely LOVE those little cups. Look at the beautiful smile that awesome blonde has!! I've got to see this movie!! Oh dear! Oh dear! I shall be late! You and your hubby look so happy riding around on that amusement ride. Great how you captured yourselves with the background blurry. Perfect images! Aleutie-I really did too! Much more than I thought I would. I love the little cups as well! I love the late reference! I was saying that today when telling one of the girls at work about the movie and she had no idea what I was talking about. She thought I was crazy and I thought she was for never having read the book! Backbone Studio-Thank you! We have so much fun at Disneyland and Disney World. It was funny that we got those to come out. I bet we could never recreate them if we tried!